in an effort to become a better person, and more responsible meat eater, i’ve made some changes in my weekly grocery shopping routine. instead of doing a “one-stop” trip to trader joe’s for all our weekly essentials and then a whole foods “drive-by” for some specialty items and meat, i’ve signed up for a weekly produce delivery from full circle farm. they have an amazing sustainably raised meat program as well as dairy and eggs, all of which are organic and locally produced with not a factory in sight! i am a firm believer in the food chain, but factory farms are killing our environment and producing low quality food. i can no longer participate in their existence so buying meat and produce just got a little pricier in my household. but, just like at large grocery chains, there are some cuts of meat that are always a bit cheaper because they need a little more skill, finesse, or patience to prepare. don’t fear dear readers. i have some great recipes that highlight these gems of meaty goodness and really make them shine. 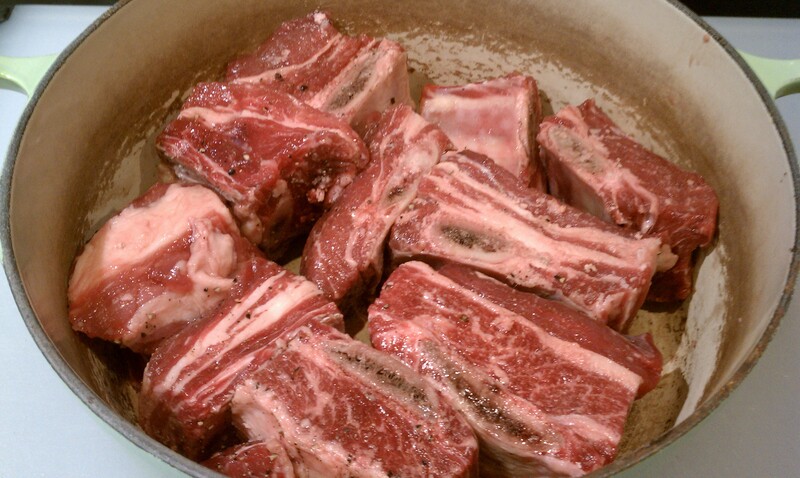 short ribs were on special this week so let’s get cooking! 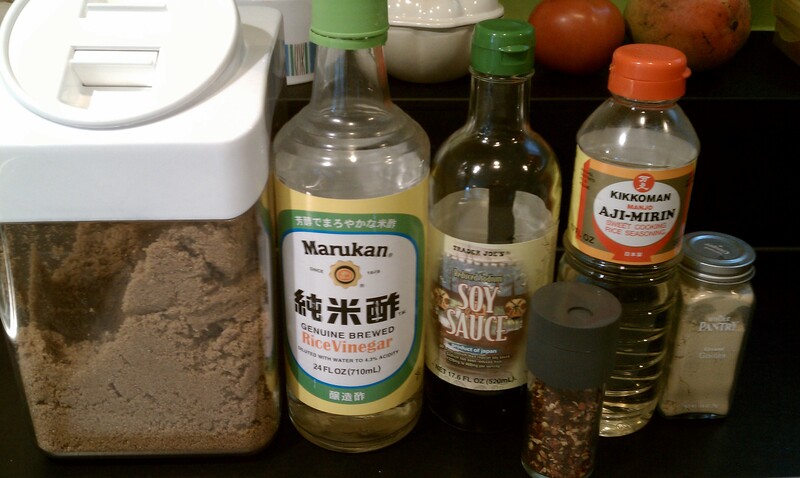 in a large bowl or measuring cup, whisk together the first 9 ingredients. 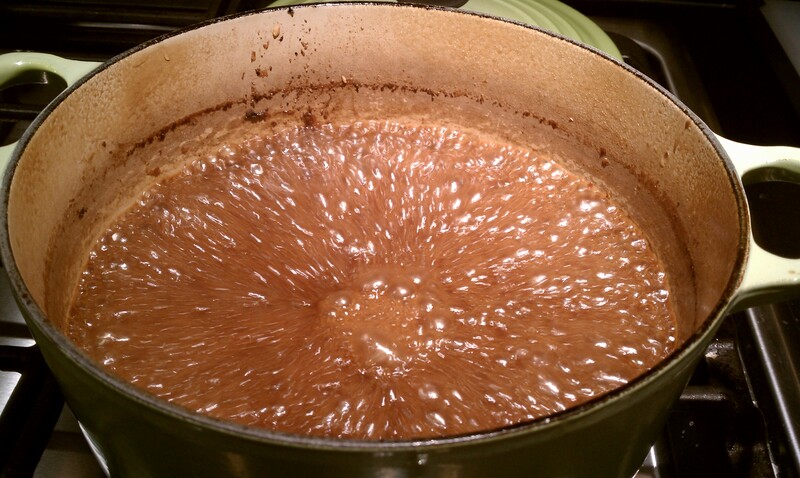 pour over the short ribs in a large dutch oven and add enough water just to cover. 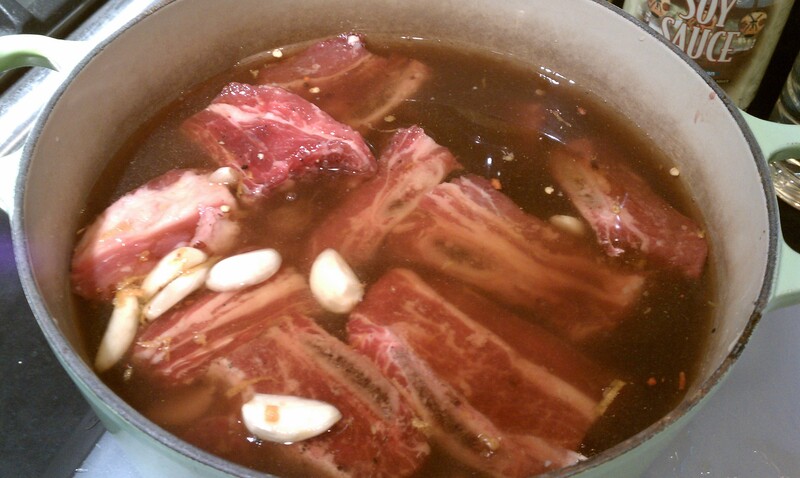 cover the pot and simmer in the oven for 3 hours, until the short ribs are tender and separate easily from their bones. 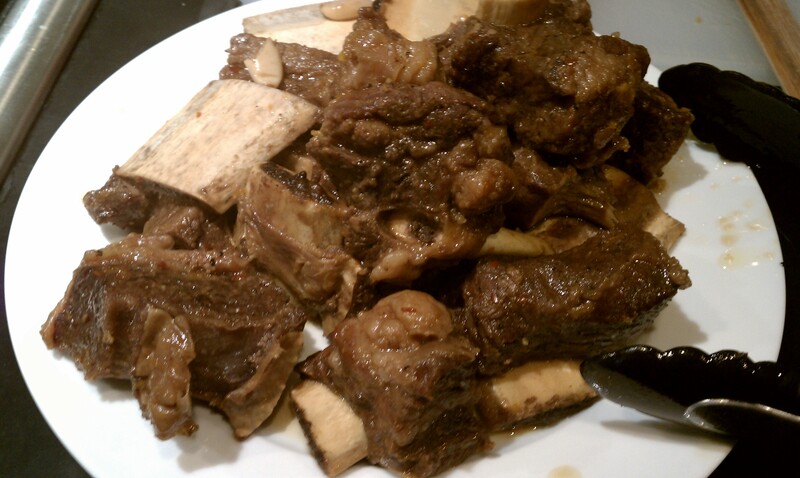 remove the ribs to a plate and discard bones. 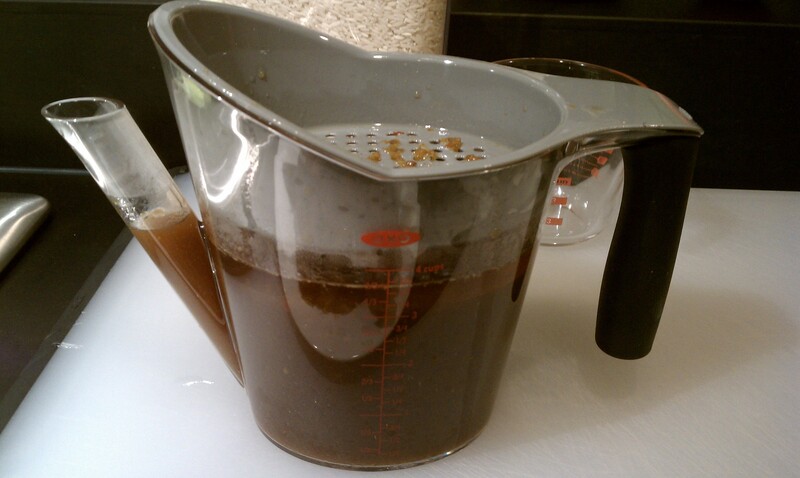 pour the braising liquid in a fat separator. 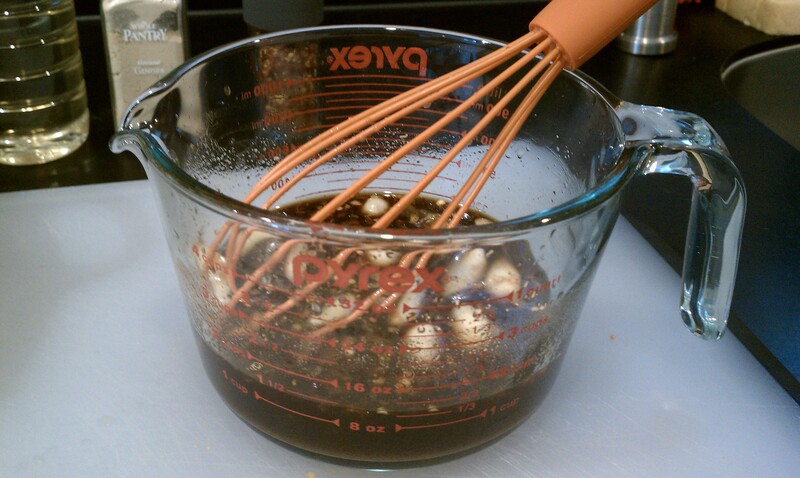 return the liquid, sans fat, back to the pot and cook over a high flame until it’s reduced to a thick syrupy glaze, about 10 minutes. add the ribs back to the pot to coat in the glaze. 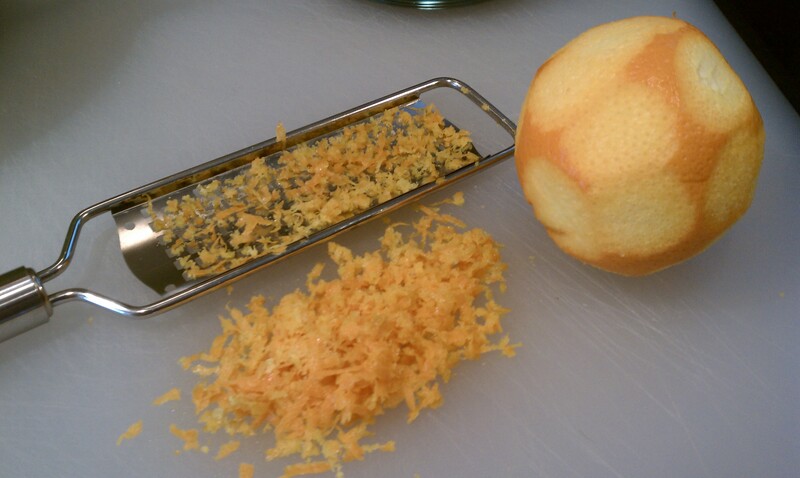 sprinkle with the chopped scallions and serve over rice. enjoy! 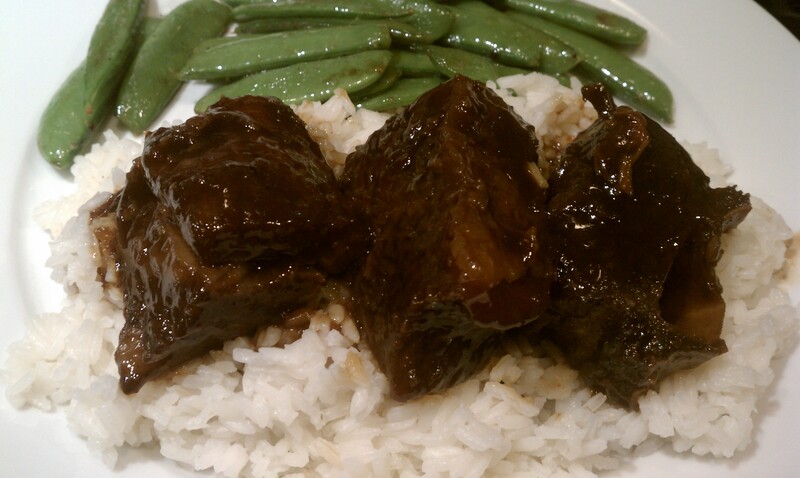 short ribs can be cooked so many different ways, but this is definitely my family’s favorite. i love that i can stick them in the oven and forget about them for a few hours too. the leftovers make awesome asian tacos… just shred the meat and serve with julienned carrots and napa cabbage in moo shu wraps! 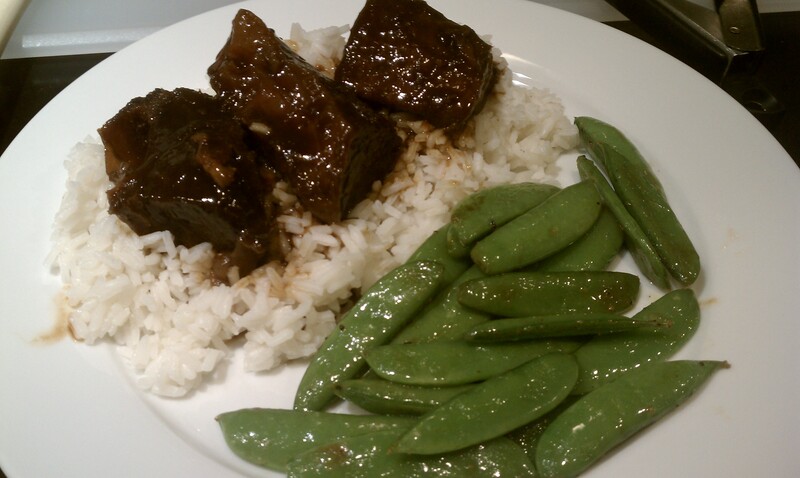 This entry was posted in beef, meat dishes, Recipes and tagged asian, asian short ribs, beef, one pot meal, rice, short ribs. Bookmark the permalink.